How to use it: On clean skin, apply your toning mist and then apply the mask. Let sit for 10-30 minutes. Afterwards, remove mask and pat remaining product into skin. Finish with serums and moisturizer. How it works: There’s a little bit of salicylic acid in this mask. Salicylic Acid is made up of particles small enough to get into the pores. Once there the BHA will break up sebum blockages and help gently exfoliate dead skin cells allowing for the antioxidant, Vitamin C, to penetrate brightening and hydrating the skin. The pig placenta acts as a powerful anti-aging ingredient preventing trans-epidermal water loss, reduces UV-B induced wrinkles and fights overall signs of aging. Review: Vitamin C is a powerful antioxidant that can brighten and anti-age, so I’m not sure if it’s this ingredient or the placenta that’s improving my skin – maybe it doesn’t matter? I do notice brighter, smoother and more hydrated skin after using this mask and personally, I’ve found that Vitamin C doesn’t irritate my skin like other whitening agents. And the amount of salicylic acid is very small in this placenta skin care mask. Sometimes when I use skincare products daily with salicylic acid it starts to irritate and dry out my skin. I like that this mask has a little bit and by using it once a week I get the exfoliating and pore unclogging benefits without over drying or irritating my skin. I also love that this mask has a jawline lifting piece. Maybe it’s because I’m getting older and I’m starting to apply preemptive neck cream, but I just love it when a face mask has an extra lifting piece that attaches at the chin and you fold up under your jaw. 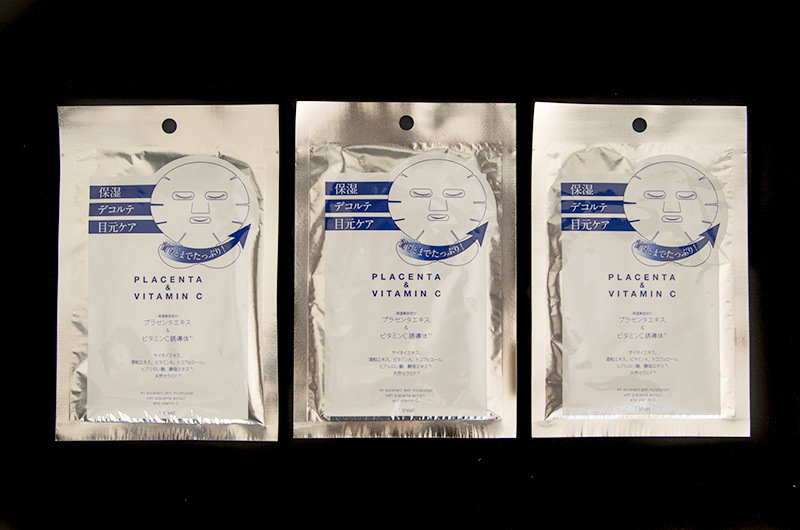 Conclusion: Next time you’re in Japan and looking for placenta skin care, I highly recommend this mask. Probiotics – the next big skin care ingredient?